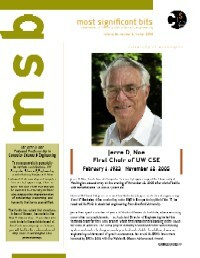 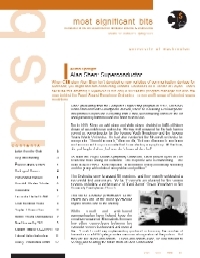 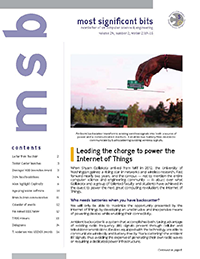 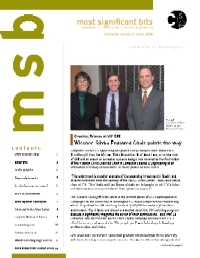 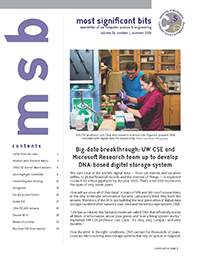 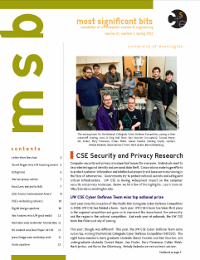 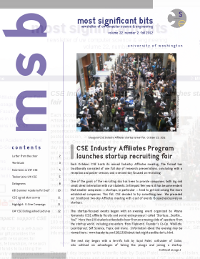 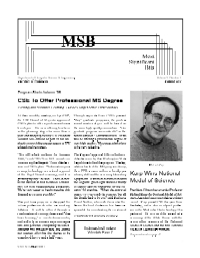 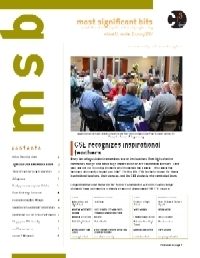 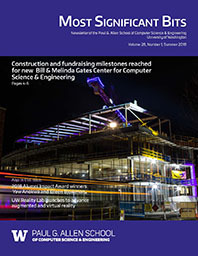 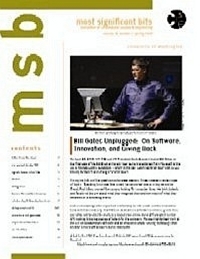 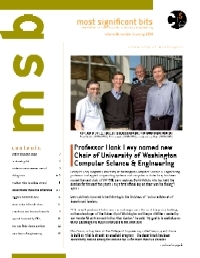 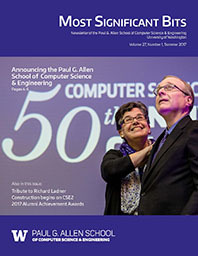 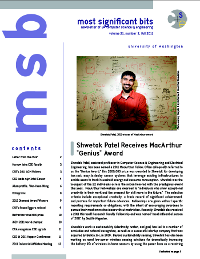 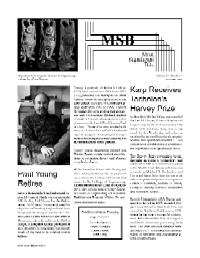 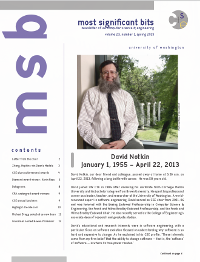 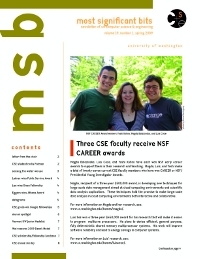 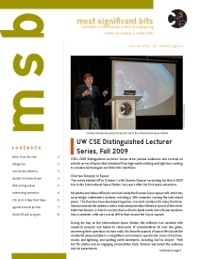 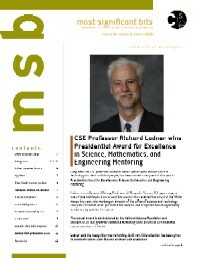 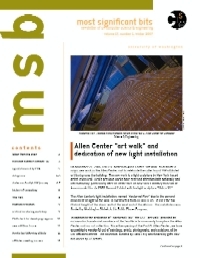 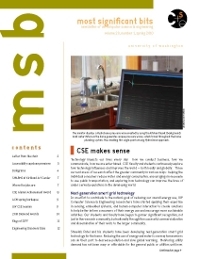 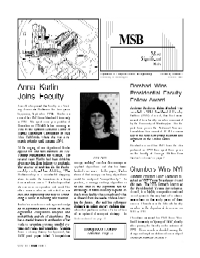 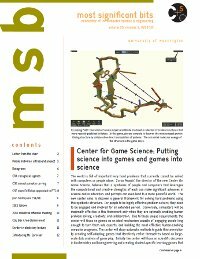 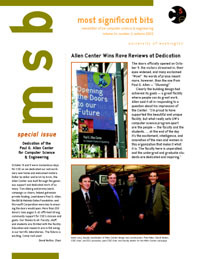 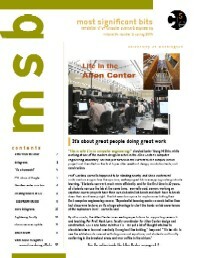 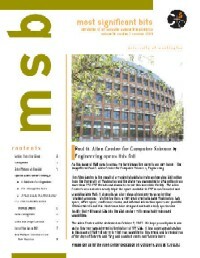 Most Significant Bits (MSB) is the newsletter of the Paul G. Allen School of Computer Science & Engineering. 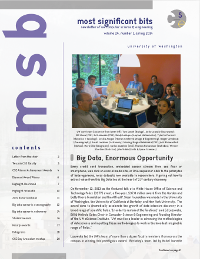 Published semiannually, MSB features stories on our latest initiatives and research activities and highlights the achievements of our students, faculty and alumni. 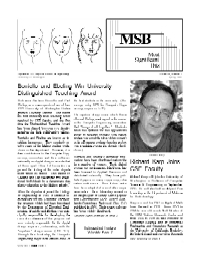 Have a story suggestion? 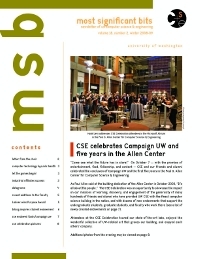 Submit news tips via email: msb at cs.washington.edu. 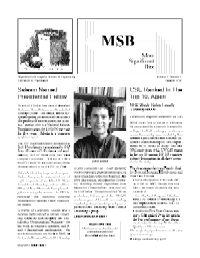 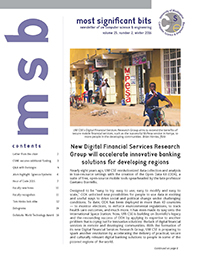 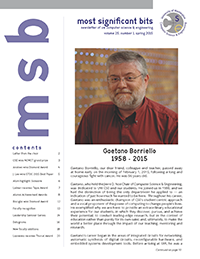 Want to receive the electronic version of MSB? 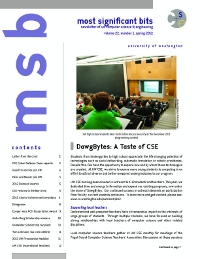 Subscribe via email: msb cs.washington.edu.